“PRIORITET” is the first and the only prestigious branded award in the professional community of Russia which is given to the best enterprises of the country that have achieved the greatest success in the field of import substitution. 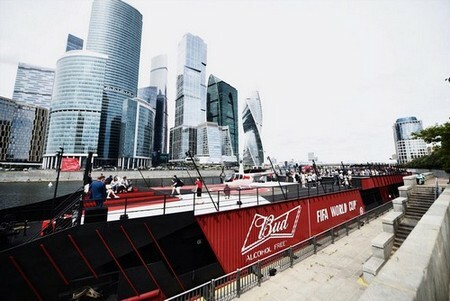 The Communication Group “Business League” organizes the award. In 2018 more than 450 companies are expected to take part in the contest of the “PRIORITET” award. 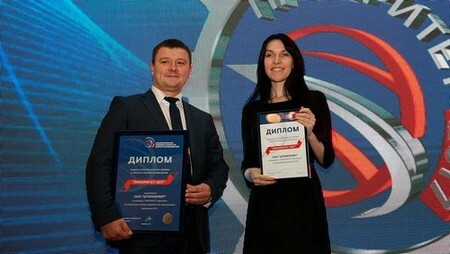 The “PRIORITET” award is supported by relevant ministries of Russian Federation – the Ministry of Industry and Trade, the Ministry of Agriculture, the Ministry of Energy, The Ministry of Сommunications and Mass Media, as well as by public organizations such the Russian Union of Industrialists and Entrepreneurs, the RF Chamber of Commerce and Industry, Delovaya Rossiya, Federal Customs Service of Russia and FAS Russia. The submission of applications for the fourth annual award for import substitution “PRIORITET” continues now. The next stage ends on August 31. Why is it necessary to take part in the “PRIORITET” award? 1. It is the most respected and prestigious award in Russia, which rewards the best enterprises of the country that have achieved the greatest success in import substitution. 2. It is the key socially significant platform for the most successful and powerful Russian companies that produce import-substituting goods and services. 3. It is a unique opportunity for companies of any scale, specialization and field of activity to strengthen their positions. For small and medium businesses it is a wonderful chance to demonstrate their products, services, ideas to potential customers, collaborates and investors. And for large businesses – to find new reliable suppliers. 4. The “PRIORITET” award is the effective marketing and media resource in the field of import substitution. Since 2015 there have been more than 1200 projects, more than 1000 corporate participants, 26 nominations, 133 winners, over 5,000 publications in all types of media, weekly newsletters “News of import substitution”, different special projects and much more. 5. The annual ceremony of rewarding the winners of the “PRIORITET” award is a traditional venue for professional meetings and exchanging contacts of all participants of the import substitution movement in Russia – representatives of government, business, experts and the media. To take part in the contest are invited Russian companies which work for import substitution of goods and services in the Russian market and which have achieved success in the field thanks to establishment and development of their own produce, working out of new technologies, promising ideas and projects and production of import-substituting products, goods and services. Soon August! Where cheap to rest?